Penn State has suspended one fraternity's recognition for at least two years for violating new restrictions on alcohol use among Greek life organizations. Sigma Alpha Mu, which has a house on East Prospect Avenue in State College, violated multiple regulations during a Parents Weekend event on April 1, the university said in a release. A ban on fraternity and sorority social functions with alcohol was put into place after student Timothy Piazza died in February from injuries sustained when he fell down the stairs at Beta Theta Pi fraternity during a bid acceptance party. The investigation in that case is ongoing, but police have said Piazza was intoxicated at the time of his fall and that hazing and excessive alcohol consumption may have played a role. Penn State administrators subsequently issued new restrictions that will be in place for social events and new member recruitment, and Beta Theta Pi had its recognition permanently revoked. The university, however, granted an exception to the alcohol moratorium for Parents Weekend events. In a blog post on April 10, Penn State President noted nine organizations had violated the new roles, with Sigma Alpha Mu, popularly known as "Sammy," being the only fraternity mentioned by name. "Sigma Alpha Mu’s violations include excessive drinking, involving hard liquor, with no third-party server; open access to alcohol with no monitoring; and permitting guests other than fraternity members, their parents and family to attend," a university statement on Thursday said. The new restriction — which include limits on party sizes, no hard liquor (beer and wine only), a certified third-party server and strict monitoring — were in place for Parents Weekend, as well as limits on who could attend and the length of time allowed for social events. The university statement said that Sims and other student affairs administrators discussed the issues with the fraternity's leadership and adviser. The chapter president acknowledged the violations, according to the university. “In a gesture of trust, we believed that Parents Weekend would be the appropriate way to pilot new regulations and gain cooperation from the Greek-letter community,” Sims said. 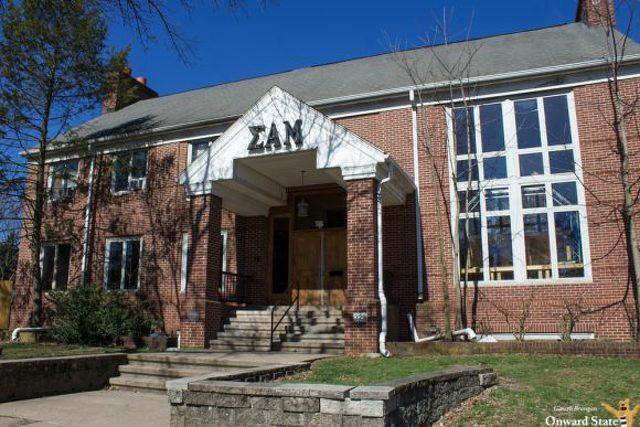 “Unfortunately, this fraternity egregiously took advantage of its trial opportunity, despite our clear expectations and the well-publicized consequences for violations. The violations also were discussed with the chapter's national organization. He also questioned the future of Greek life at Penn State if violations continued and behavior didn't change. "[T]he stories cited above cannot continue," he wrote. "If they do, I predict that we will see many empty houses and then the end of Greek life at Penn State." 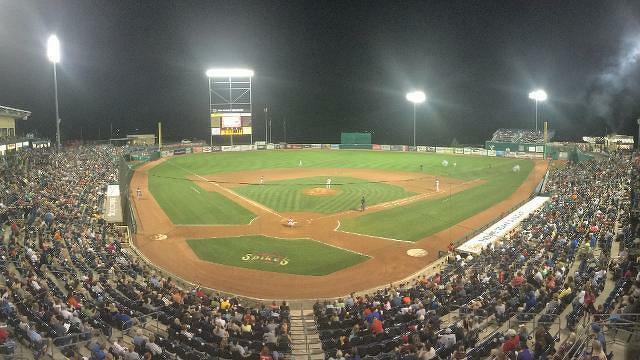 The defending New York Penn League champion State College Spikes will return to action in June at Medlar Field at Lubrano Park, and the St. Louis Cardinals short-season A affiliate once again has a home slate packed with promotions, giveaways and special appearances. The team announced the full promotional schedule this week, and tickets are now on sale.